In lieu of flowers memorial donations may be made to Smitty Bear Memorial Fund and left at the funeral home. 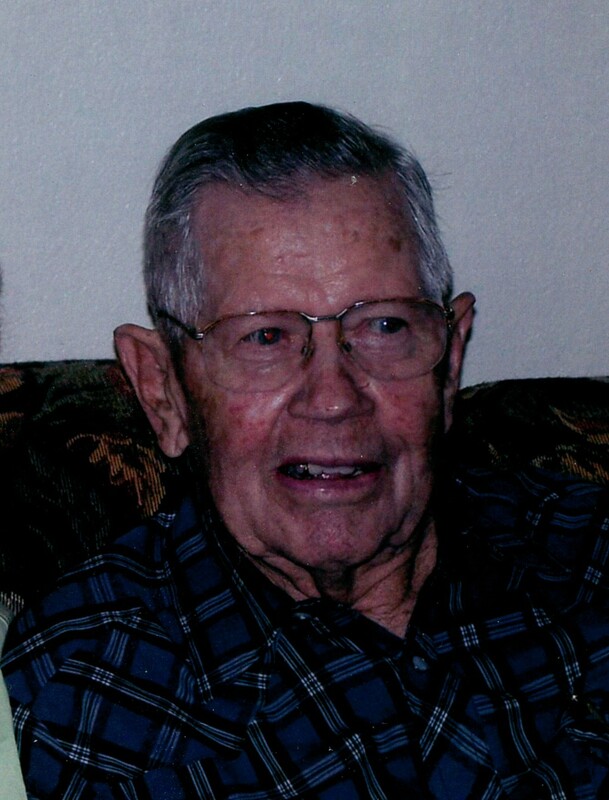 Marvin Emmett Green, age 89, of El Dorado Springs, MO, passed away on August 11, 2013, at Cedar County Memorial Hospital. Marvin was born on September 15, 1923, in Filley, MO, to Robert Martin and Mary Louisiana (Davis) Green. Marvin graduated from El Dorado Springs High School in 1943. After graduation Marvin worked on the family farm. Marvin was united in marriage to Ina Marvine Hornbeck of Stockton on April 10, 1948. To this union two daughters were born: Marva Sue Smith and Sheila Ann Ponder. They moved to Kansas City in 1949. Marvin was Superintendent of Maintenance at the Country Club Christian Church from 1952-1982. After his retirement they moved back to a little farm outside of El Dorado known as Green Acres. Marvin enjoyed woodworking, gardening and was an avid traveler. One of his favorite places to go was to Branson and Silver Dollar City with his family; he also enjoyed going to bluegrass festivals around the area. Marvin was not a coffee shop goer but enjoyed spending time with the guys at Dardiac Rehab three days a week. One of Marvin’s greatest prides was spending time with his granddaughters and great-grandkids. One of his best memories was spending time on the porch teaching them how to whittle a stick. Marvin was preceded in death by his parents Robert and Mary; three brothers: Virgil, Paul, and Leo Green; two sisters: Leta Faye Mann and Vera Hunt; and one son-in-law Smitty Smith. He is survived by his loving wife of 65 years, Marvine; one sister Eunice Smith of El Dorado Springs; two daughters: Sue Smith of El Dorado Springs and Sheila Ponder and husband J.C. of Springfield, MO; five granddaughters: Deanna and Tracy Ponder of Springfield, MO, Sarah (Smith) Wills and husband Jackson of El Dorado Springs, Heather Smith of Columbia, MO, and Ashley Smith and fiancé Kurt Priebe of Nixa, MO; three great-grandchildren: Ty Berning, Gabriel Wills and Anna Priebe; along with many cousins, nieces, and nephews. Marvin was a devoted husband, father, grandfather and great-grandfather. He will be so deeply missed by all of his loved ones and those who knew him. Funeral services for Marvin Green will be held on Wednesday, August 14, 2013, at 2:00 p.m. at the Bland-Hackleman Chapel with Rev. Brent Bland officiating. Joe and Janet Clayton and Tim Louderback will provide music. Burial will follow in the El Dorado Springs City Cemetery under the direction of Bland-Hackleman Funeral Home. Pallbearers are Deanna Ponder, Tracy Ponder, Sarah Wills, Heather Smith, Ashley Smith, Jackson Wills, Kurt Priebe, and Ty Berning. Honorary pallbearers are J.C. Ponder and Gary Green.